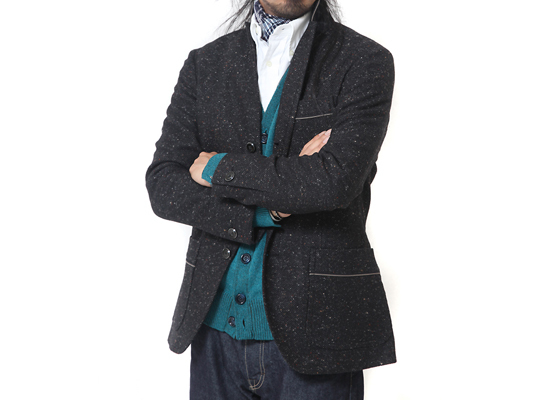 Quesorvel Recycled Tweed Blazer adds a twist on the classic sportcoat, adding three buttons instead of one. Dress this jacket up for an air of sophistication or break it down to wear with your every day jeans. Tweed isn’t just for your grandmother anymore. This entry was posted in Sportcoats and tagged Quesorvel Recycled Tweed Blazer. Bookmark the permalink.